Our History | The Redland Company, Inc. 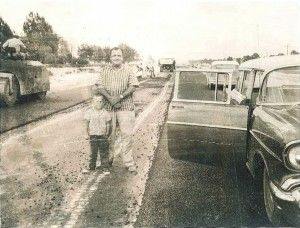 The Redland Company can trace its roots back to a road contractor, Charlie Munz, who founded Redland Construction more than 50 years ago. The landscape and the business environment have changed dramatically in Florida over the intervening half century, and we have adapted to meet the needs. While much has changed, some things remain the same, or at least familiar. The company’s crews and equipment can still be seen out on the road as a transportation contractor, but this represents only one part of what is a full-service engineering contracting firm. The Redland Company provides full site development and infrastructure contracting services throughout Southern and Central Florida. Another thing that hasn’t changed: the involvement of the Munz family, now into the third generation, and its commitment to clients and to the projects they create.